Not too far from the famous Avenue of the Baobabs is located another miracle of nature – Baobab Amoureux. Here two magnificent baobabs (rather rare species Adansonia za) have twisted together, inseparable, like two lovers. 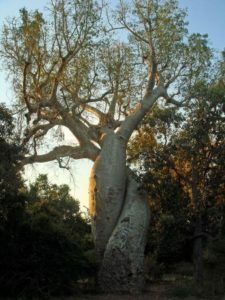 Adansonia za is one of seven species of baobabs in Madagascar. 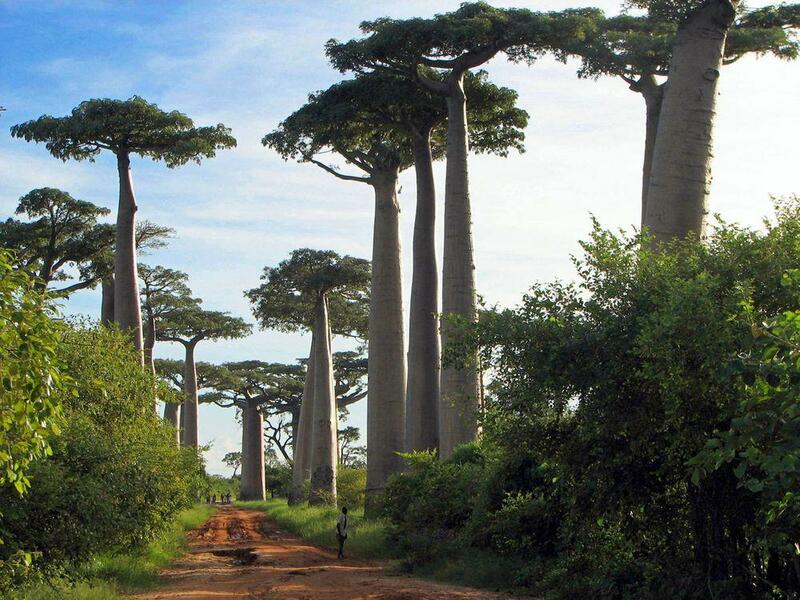 These magnificent trees are endemic to Madagascar and grow only in the dry tropical forest of the southern and north-western part of island. This tree, like other baobabs, can reach giant size – it grows up to 40 m tall and diameter of trunk may reach 6 metres! Two such giants twisted together is very unusual sight. 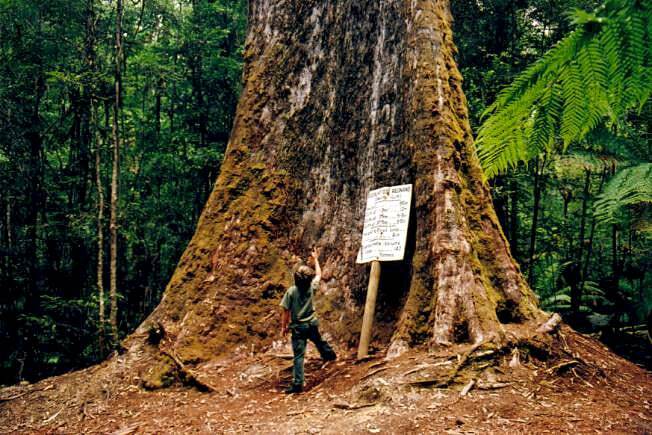 Of course, locals have noticed these trees and a legend about this unusual natural monument was born. Once upon a time in two local villages were loving two young people boy and girl. They fell in love with each other. Unfortunately each of them already had an assigned partner and could not marry. They asked for the assistance of god – and as a result baobabs were born and met. Allée des Baobabs. Un site classé aire protégée, tribune.com. 1 August 2007.